Discussions about Java EE‘s future are more intense than ever. Was Oracle’s decision to look into moving Java EE technologies “to an open source foundation” a good one? If Java EE is moved to an open source foundation, which one is the most suitable? Should it be renamed? We invited Ivar Grimstad, Martijn Verburg, Reza Rahman and Josh Juneau to weigh in on Oracle’s decision. It’s amazing what a year can do! Last year, a lot of people were trying to protect Java EE’s legacy. Community members created a group called „Java EE Guardians,“ then came MicroProfile, an open forum which aims to bring microservices to Enterprise Java and everyone was asking themselves how to keep Java EE alive. We believe that moving Java EE technologies to an open source foundation may be the right next step, in order to adopt more agile processes, implement more flexible licensing, and change the governance process. community-driven governance, management, contribution, and feedback. Payara Services also supports Java EE’s move to an OS model. Is Oracle’s decision a good one? Was it long overdue? Let’s find out! Ivar Grimstad is a Java Champion, JUG Leader and software architect focusing on Enterprise Java. He is participating in the Java Community Process as a member of the Executive Committee, Spec Lead for JSR 371 (MVC 1.0) and Expert Group Member for JSR 375 (Java EE Security API). He is also a member of the NetBeans Dream Team. Martijn Verburg is the co-founder and CEO (previously CTO) at jClarity. 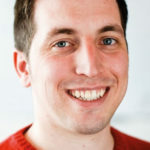 Verburg is co-leader of the London Java Community and leads the global effort for working on Java standards via the Adopt a JSR and Adopt OpenJDK programs. He was recognized as a Java Champion in 2012 for these contributions. Reza Rahman is the founder of the Java EE Guardians. He has been an official Java technologist at Oracle. He has been a member of the Java EE, EJB and JMS expert groups over the years. Reza implemented the EJB container for the Resin open source Java EE application server. He helps lead the Philadelphia Java User Group. Josh Juneau is a Java Application Developer. He is a member of the JCP and served on both the JSR-372 (JSF 2.3), and JSR-378 (Portlet Bridge for JSF 2.2) Expert Groups. 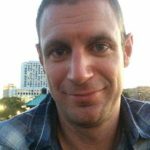 He is a Java community advocate and contributor, helping to lead the Chicago JUG Adopt-a-JSR effort. He is a Java Champion and a member of the NetBeans Dream Team, as well as the Java EE Guardians. Ivar Grimstad: I think it is great news. It certainly is an opportunity for the community to grow even more and allow other vendors to participate more actively with more permissive licensing. Regarding timing, I won’t dwell in the past and speculate if it should have been done earlier or not. By starting this re-licensing step after Java EE 8 is out, there is a strong foundation to build upon. Martijn Verburg: It’s a great decision with one caveat. Oracle are (at this stage) not donating the Java EE branding to go along with the RI’s and TCK’s they’re proposing to donate. This means that the technology going forwards would not be able to call itself Java EE, which in my opinion would be a major blow to the future success of this donation. The technology going forwards would not be able to call itself Java EE. It’s been long overdue, whilst I understand Oracle’s business reasons for holding Java EE closely to them for a number of years, I personally feel they could have profited more from having Java EE in an open foundation and focusing more of their efforts on building extra products and opening up new markets to Java EE technology. Reza Rahman: This is definitely a very positive step. It’s what major vendors have long asked for in terms of both Java EE and Java itself (which Sun and Oracle refused to do). Frankly, it is what the core part of the community really hoped for but could not dare ask. This completely levels the playing field in terms of who can move Java EE forward and be a core part of the Java EE ecosystem. It is now up to the broader community and industry to make the most of this and renew the future of server-side Java on a far stronger path and more open path in the short and long term. I do hope though that Oracle continues to also stay involved and can also be an important part of a bright future, including for itself on the cloud. These are the early stages and there are many details to sort out. We must all remain fully engaged and be vocal about what we think the right thing to do is for the future. As we can see, that is key to making happen what may have seemed impossible just a mere few months ago. The secret sauce is remaining principled, constructive, engaged and persistent. I am happy that Oracle made sure Java EE was in a very good position before opening it up. 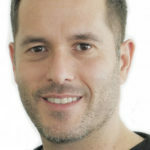 Josh Juneau: I think it is a very wise decision by Oracle, and it will be very good for Java EE. There is a big community behind Java EE and I believe it will thrive in the open space. I don’t know if it is long overdue, Oracle has certainly made Java EE into a stable, mature, and very modern platform over the past couple of releases. I think it is time to open it up, but I am happy that Oracle made sure it was in a very good position before doing so. As Martijn Verburg explained above, the technology going forwards would not be able to call itself Java EE. Do you think Java EE should be renamed? What does a rebranding symbolize? Reza Rahman has created a poll so if you’d like to vote, do it now. Should Java EE be renamed? If so, what should the new name look like? Which foundation should be the new host of Java EE? A newly-founded „Java EE Foundation“, Eclipse, Apache – or something different? Ivar Grimstad: I really don’t have much of an opinion about that yet. I like the way the JCP works and would like to see that continue. One of the reasons why Java and Java EE is such as success story is the governance model of the JCP. Martijn Verburg: Both Apache or Eclipse would be fine, they’re both well-proven homes for Java related technologies. I think the Eclipse Foundation has a slightly stronger practice of thorough IP checking which may be a factor here. Reza Rahman: My opinion is that either Apache or the Eclipse Foundation are good choices. There are a couple of reasons why the Eclipse Foundation may win out. The MicroProfile vendors are already there and the structure of the Eclipse Foundation is better suited to larger corporate stakeholders — which Java EE has and will continue to need in addition to the support of individuals, communities and smaller vendors. I think there is no need to reinvent the wheel with yet another foundation. The established presence of an existing foundation will help with giving Java EE a strong fresh start. Josh Juneau: I’m really not 100% certain which foundation would be best for Java EE just yet. I’ll have to do more homework on each of the different foundations before I could make a good decision on that. However, seeing that projects such as the MicroProfile have worked well in the Eclipse Foundation, that certainly needs to be taken into account. Apache also cannot be overlooked because it hosts many Java related projects, including NetBeans which is currently in transition. I know that one of the most difficult pieces of this handover will be the opening of the TCKs, so it makes sense to determine which foundation will be able to make the most seamless transition as well. According to the poll made by Reza Rahman, 64 percent of the 1.116 respondents prefer the Apache Foundation, 17 percent think that the Eclipse Foundation should be the new host of Java EE and 11 percent believe that it should remain with Oracle. If Java EE were to be moved to a foundation outside Oracle, which one would you prefer? The idea of opening up Java EE will be discussed with the community, their licensees and several candidate foundations to see if Java EE can move forward in this direction. However, it is important to point out that action will not be taken before the release of Java EE 8.